At the 16th meeting of the Danang Party Committee held on April 12, there were 35 out of a total 43 votes for the decision to remove all Party roles of Nguyen Ba Canh, the local media reported. Nguyen Ba Canh has lost his job as permanent deputy head of the People Mobilization Commission of the Danang City’s Party Committee for his violations of the marriage and family law and the Party’s rules on the don’ts for Party members, the local media reported. Canh violated Article 5 of Law on Marriage and Family, apart from his violations of multiple regulations out of bounds to Party members. The city’s Party Committee is considering practices to discipline Canh before reporting to the Party Central Committee’s Inspection Commission. 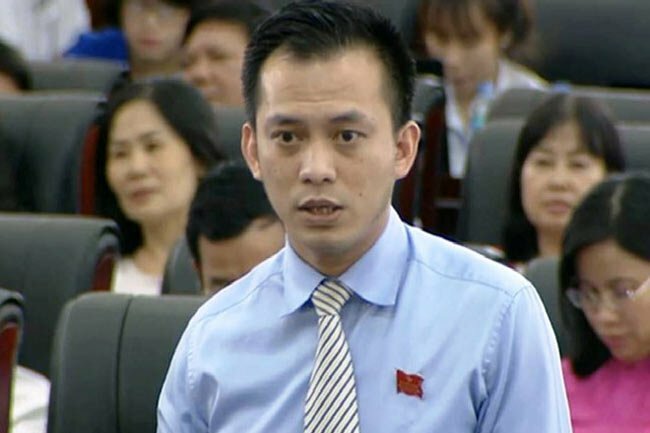 Nguyen Ba Canh, 36, whose hometown is Hoa Vang District, Danang City, is the son of late Secretary of the Danang City Party Committee Nguyen Ba Thanh. Canh was appointed as deputy head of the People Mobilization Commission of the Danang City’s Party Committee on August 16, 2017. He had earlier served as secretary of Danang City's Youth Union.